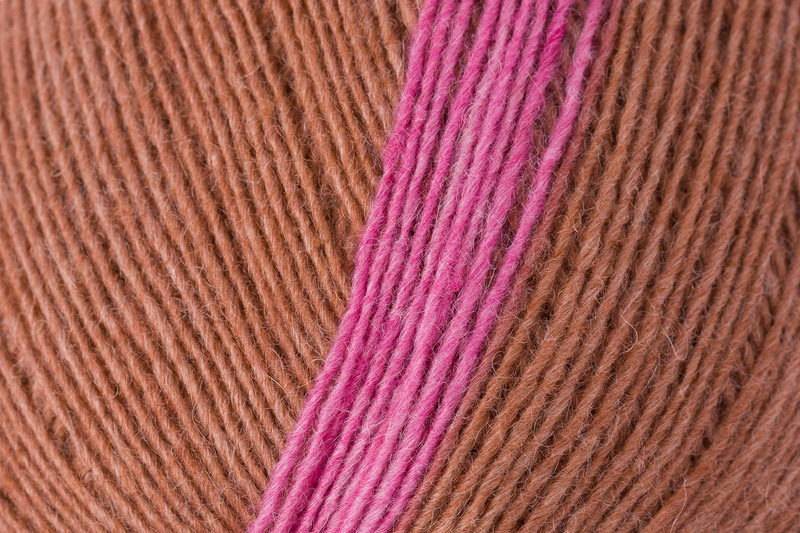 One 3.5 oz. 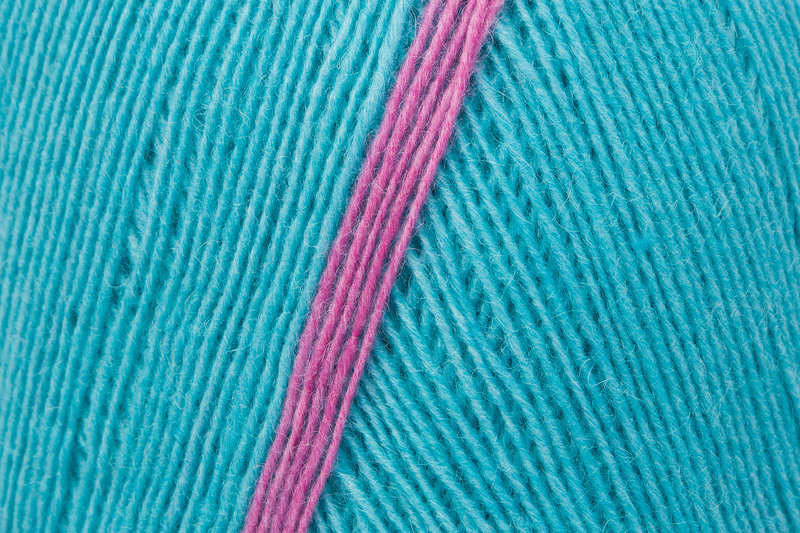 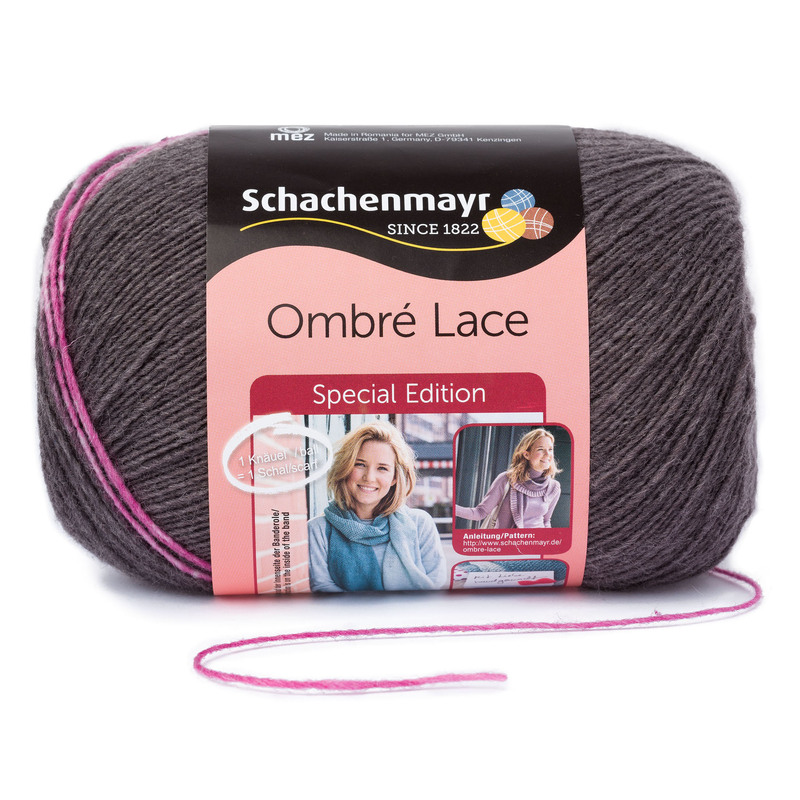 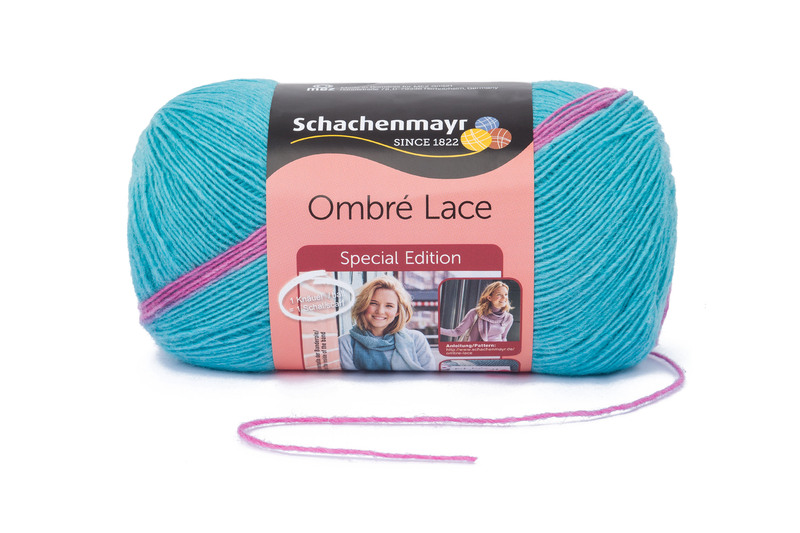 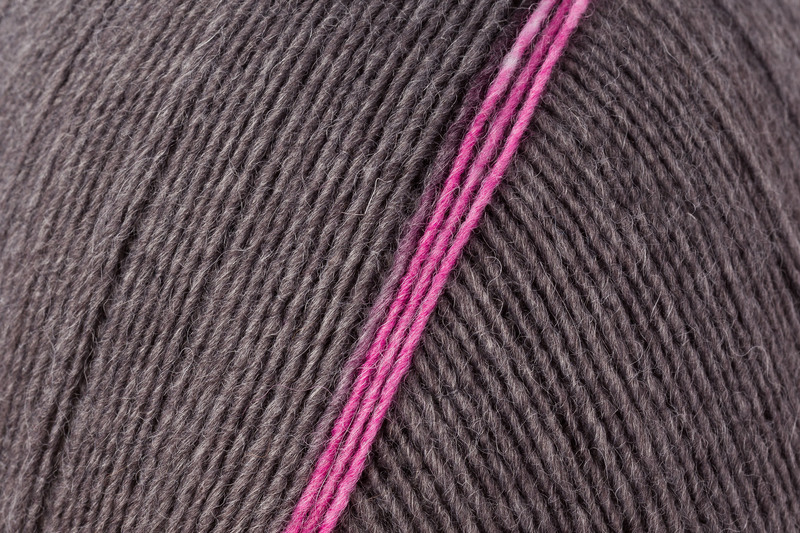 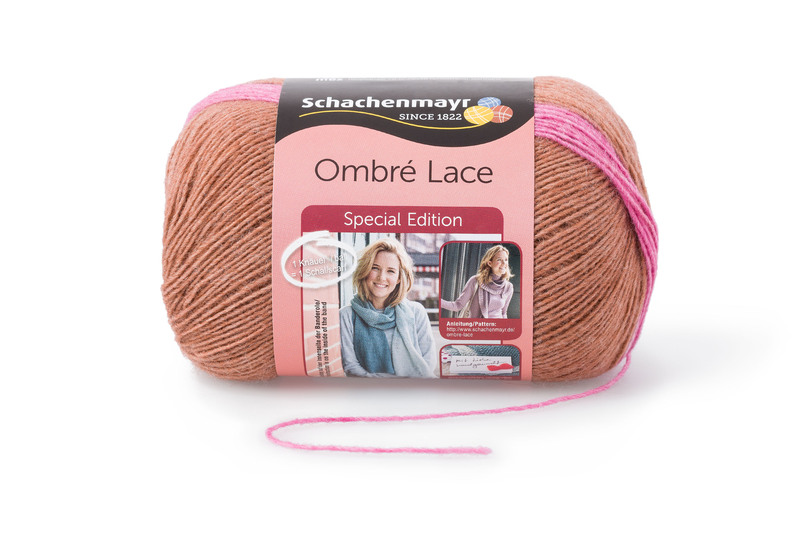 (100 g) ball of Ombré Lace yarn is exactly enough to make a shawl - with the color gradually changing from the lightest to the darkest shade. 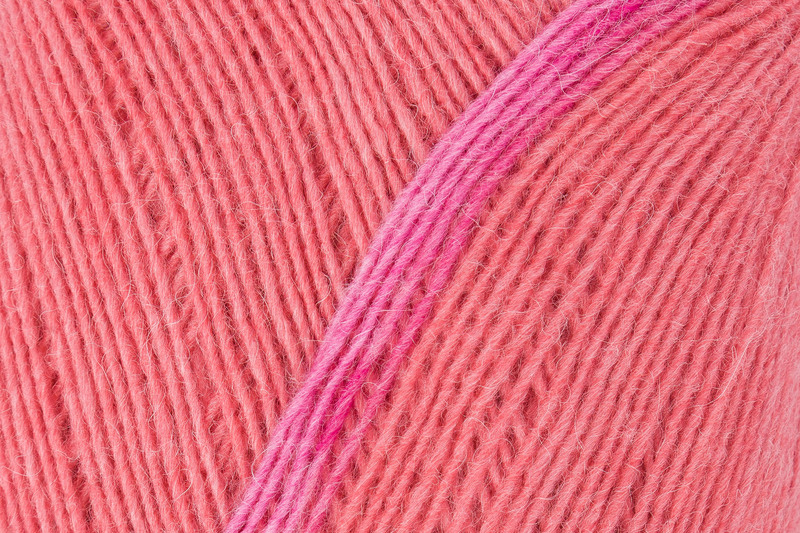 This delicate effect happens automatically and yields a subtle - but by no means boring - result. 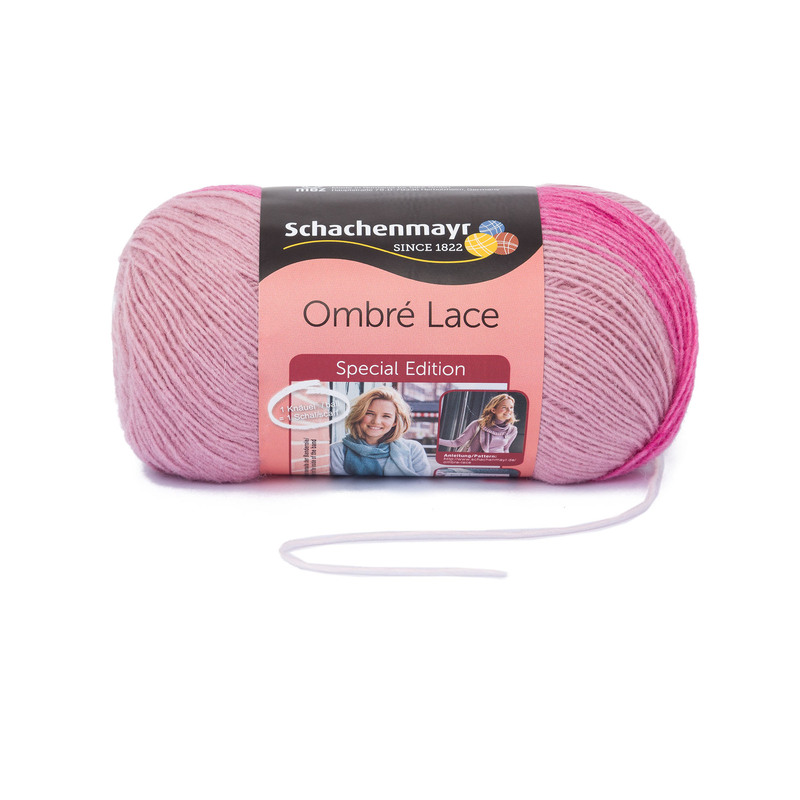 The colors are wonderfully gentle and feminine and create lovely, fashionable accessories. 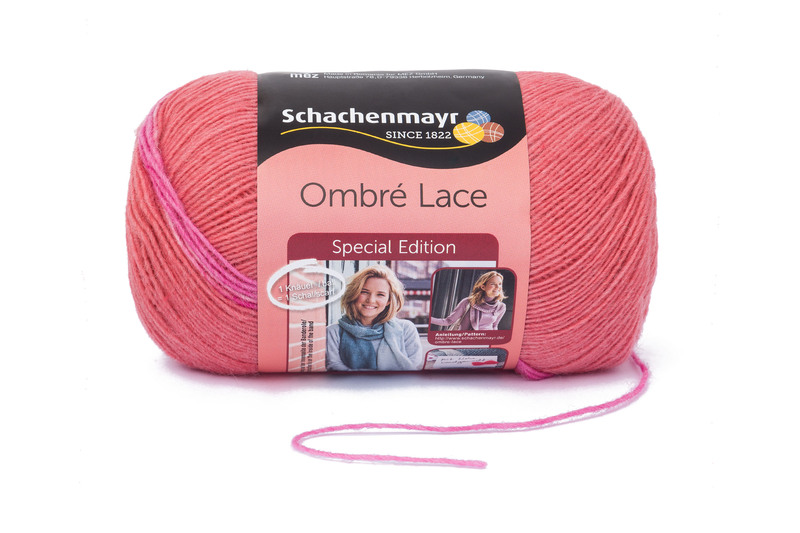 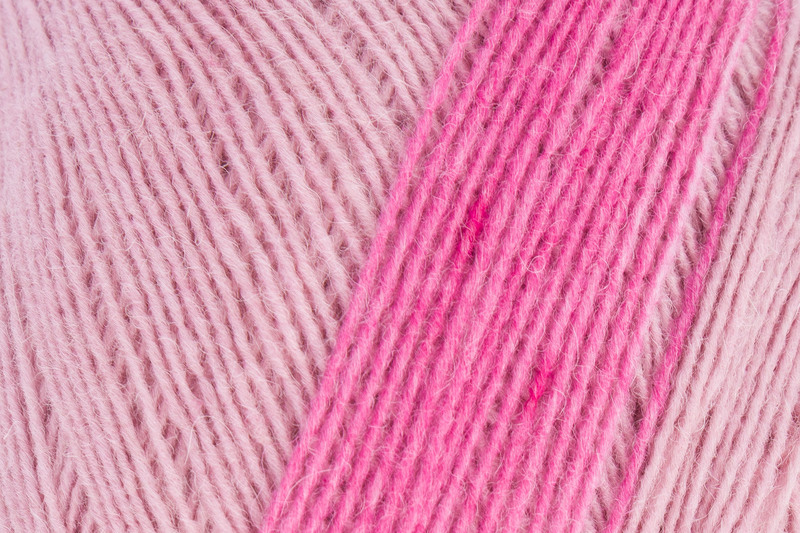 By the way: The pink yarn at the beginning can be used to crochet a small bow - ideal as a brooch or to decorate a card, if the shawl is to be presented as a gift.